Concentration is the key element in the process of learning. A mobile is the same: a potentially potent tool for learning but strangely feared in a school pupil’s hand. But with the advance times where many things have become so easy to get, attention and concentration is a trait that now can be found in a very small fraction of people. Students use mobile phones on the campus for chatting, listening to music, games etc while according to my opinion institutions are not a place for all that. The constant buzzing of mobile phone can now break anyone’s chain of thought now. The place that requires the highest level of focus is the educational institutes where students go for leaning and teacher go for teaching. Cell phones can be used at designated times. In case of emergency, students can call someone to help himself. The cell phone is a very essential thing for girls for security point of view. Any slight interruption from the outer world can break this sync very easily. Cell phones are a requirement of this age nobody can think a life without it now but its usage is something that is dependent on us. Kids can cheat on exams and nobody will notice. Also looking at small pictures or words for a long time can cause eye strain and children can become easily distracted. Using cell phones in schools and colleges violates the basic code of ethics. There are some places to do some things and then some are not. 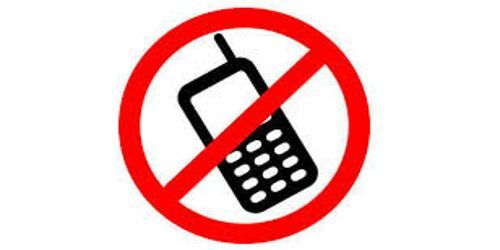 Cell phones should not be banned in colleges because it will be more helpful for gathering information from outside without any effort. The basic drawbacks of this excessive use of cell phones are the countless app that can take a person’s whole day without needing them does anything else. People who use mobile phones in colleges and schools are the young generation, the one who wants to stay hip at every cost which means making tons of account on every social networking website known to man and keeping it updated. People should change the ideology that cellphones should be banned as students are misusing them. There should be first of all a timeout for all these apps in a day a shut down for an hour or two and secondly, schools should have a strict policy so that if one of them is punished in front all of them next time no one dares. And lastly, there should be seminars conducted on the awareness of the negative side effects of using a mobile phone all this time physically and mentally. It will be good if educate students that cell phones are not for misusing but for education and students may to even use it for his own benefits rather than his other wasteful activities like playing games.